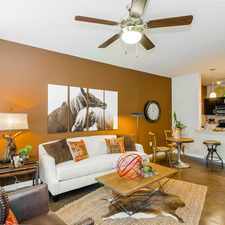 This apartment is in the Highland Hills neighborhood in San Antonio. Nearby parks include Pickwell Park, Pytel Park and South Side Lions Park East. 230 Nash Blvd. has a Walk Score of 48 out of 100. This location is a Car-Dependent neighborhood so most errands require a car. More about 230 Nash Blvd. Explore how far you can travel by car, bus, bike and foot from 230 Nash Blvd..
230 Nash Blvd. has some transit which means a few nearby public transportation options. View all Highland Hills apartments on a map. 230 Nash Blvd. is in the Highland Hills neighborhood. Highland Hills is the 77th most walkable neighborhood in San Antonio with a neighborhood Walk Score of 42.